The Grove by Rockwell | +639178132871 | Inquire Now! Own Your Grove Unit. 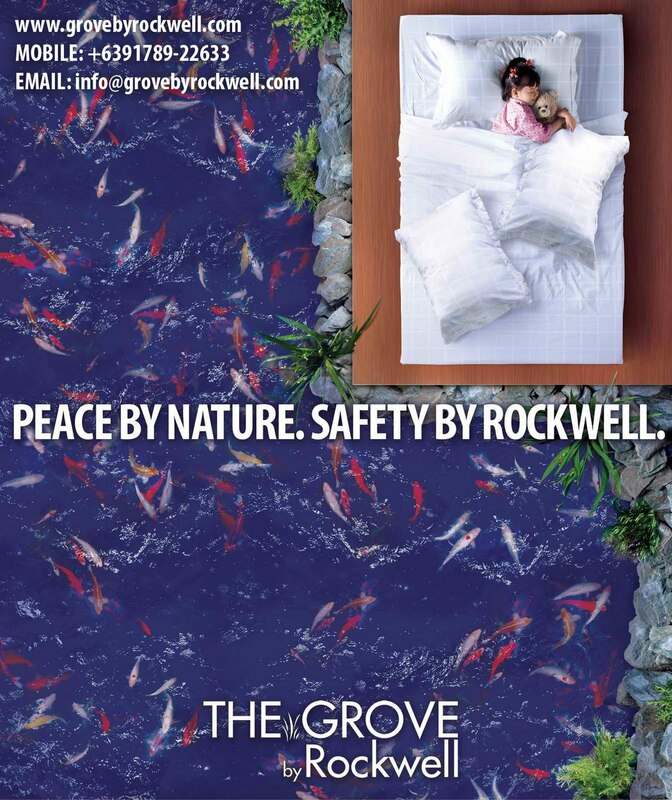 : THE GROVE BY ROCKWELL: ROCK SOLID! 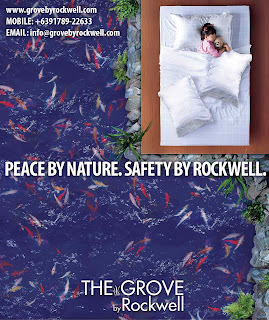 THE GROVE BY ROCKWELL: ROCK SOLID! Peace by Nature. Safety by ROCKWELL. There is a valid concern in the world on the safety and security of one's home. Endless questions and bouts of paranoia on earthquake preparedness haunts investors protecting their assets and parents fearing for the safety of their families. There is no need to fear as Rockwell Land adheres to the highest standard of structural design of its developments, building safety codes and construction safety standards. Here are some of the most frequently asked questions. FAQ 1: Until what earthquake magnitude can Rockwell Building withstand? The structural design of all Rockwell projects strictly adheres to local and international structural codes of practice similar to the ones being implemented in California, USA. Said standards and codes have taken into consideration the magnitude of the strongest earthquake recorded. In addition, The Grove in Ortigas stands on 56 meters of cast-in-place bored piles below ground. Rockwell Center on the other hand lies on adobe, one of the hardest rocks below the Greater Manila Area. Aside from complying with local building codes, these make both The Grove and Rockwell Center less susceptible to destruction if and when an earthquake should occur. FAQ 2: What are the safety standards which Rockwell adheres to with regards to construction of its projects? Rockwell Land is strict and ensures stringent quality control in construction. In fact, every morning, there are safety walkthroughs with subcontractors and contractors (who must be ISO certified) who examines the safety of sites. Rockwell Land also has an in-house team of inspectors for quality and safety control overseeing construction. FAQ 3: How is Rockwell prepared for earthquakes and other calamities? Rockwell has automatic manpower available to form emergency reaction teams with Rockwell Property Management, Rockwell's Integrated Security Network and Estate Security. With their staff and guards being accredited and trained to perform basic life support by the Philippine National Red Cross, and Lifeline's ambulance on standby 24/7. Rockwell also works in close coordination with local government units, and also a consistent Fire Safety Award Recipient from Makati Bureau of Fire and Protection. 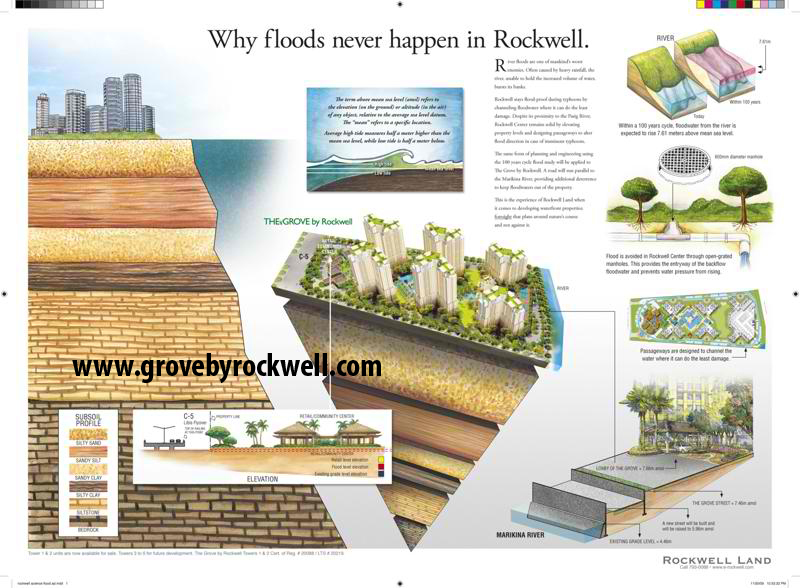 Why floods never happen in Rockwell? Rockwell also has multiple distribution pumps that can distribute 4,500 cubic meters of reserve water enough to supply Rockwell Center for two whole days. 28 Megawatt of multiple standby power generating systems are ready to run for 24 hours to supply residential towers, utilities and infrastructure during blackouts. In Rockwell, the conceptualization, construction and maintenance of a safe and solid home is sans headache. Residents here sleep soundly at night knowing that the four wall of their home are studier than ever and protected by more vigilant security measures on premium land which is carefully studied and designed to withstand natural disasters. The ETERNAL BOY-SCOUT has master-planned everything - taking on today and anticipating the future - definitely in every aspect.